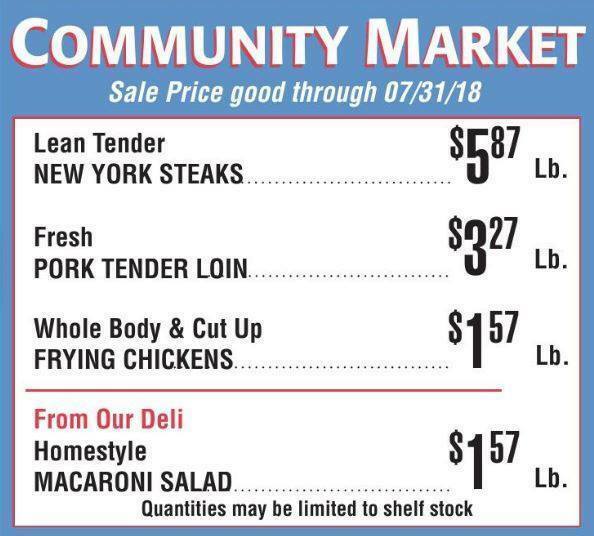 Every Wednesday we put select items from our meat and deli inventory on sale. The prices are changed by 11:00 am. Quantities may be limited to shelf stock, but we do give rain checks. It is always better to call the store and make sure we have what you want and we can even hold an order for you if you can't come in right away. You can find our ad with the prices in the Grizzly Newspaper and you can find them on our facebook page here. Please understand that the people who run the facebook page are not the same people who run this website. If you have any questions, the best way to contact us is to call the store directly. We stayed at a cabin in Big Bear and this is the nearest 'liquor'/market we had. This market consists of everything! From meat, sandwiches, woods, and all the basic necessities and food/chips. The staffs were really helpful, especially the lady who gave us tips on using woods with this one fire starter (homemade) than using a fuel starter. Overall, everything you need is here! Plus they even have homemade cookies and brownies, yum!